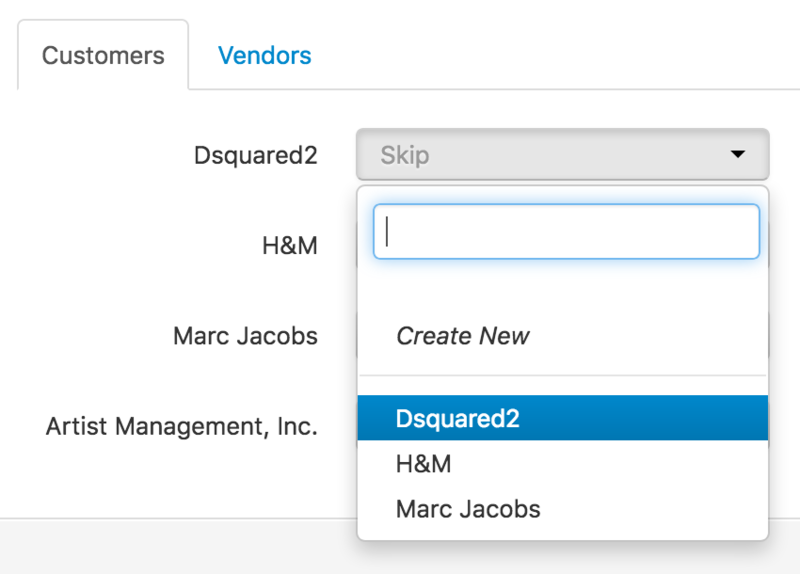 To avoid duplicates being created in your QuickBooks account, it's best to sync your QuickBooks Customers and Vendors with Syngency. This assign which Customers and Vendors in QuickBooks correspond to a specific Contact or Talent in Syngency. If they don't yet exist in Syngency, their information can be imported from QuickBooks to create a new Contact or Talent in Syngency. 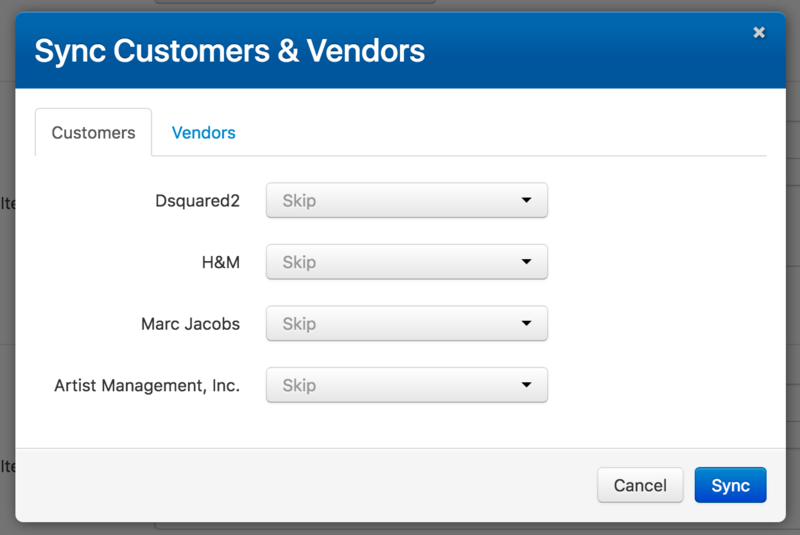 If you do not want to sync the QuickBooks Customer/Vendor with Syngency, simply leave the dropdown list set to Skip. Note: You should only have to run this process once, when you first start using QuickBooks with Syngency. As you create new Contacts and Talent in Syngency, they are automatically synced with QuickBooks.